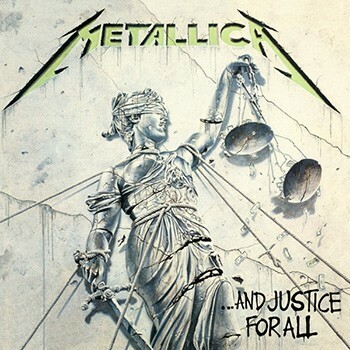 The first album I bought and is also my favorite of all time is Metallica's ...And Justice for All. I was 13 and just discovering heavy music. I've got my older brother, Stuart, to thank for that. During my primary school years, I just listened to whatever was on the radio, then my bro told me that I had to start listening to this stuff because of how awesome it was! He was right. Listening to my first Metallica record, it was like I discovered a whole new world. It was great. It sparked a passion in me that still remains with me today. My favorite song off ...And Justice for All is "One." It's got so many different dynamics in it, and themes that go deeper than the deepest ocean. When Lars starts up the double kick leading into the bridge, I still get goosebumps. The reason why this album holds so much merit with me is because it changed my musical perspective. I'm now playing in a band that tours the world playing music, and I guess I have Metallica to thank for a lot of that! I'm sure I would've found my way into heavy music eventually, but who knows what subgenre I would be listening to now if my first album was a different one? Heavy music brings people together. We're all one big family, no matter what subgenre you're in, and I'm glad I picked up Metallica's ...And Justice for All when I did. 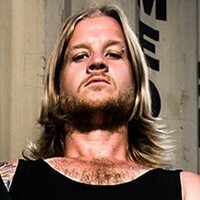 Blair Layt plays bass in A Breach of Silence, a powercore metal band based in Brisbane, Australia. The group recently released their sophomore album, The Darkest Road, on Eclipse Records. Produced by Fredrik Nordstrom and Henrik Udd (In Flames, Hammerfall, Opeth), the band just wrapped a U.S. tour with Drowning Pool in support of the album. Head to this link to see A Breach of Silence's video for the album's title track.